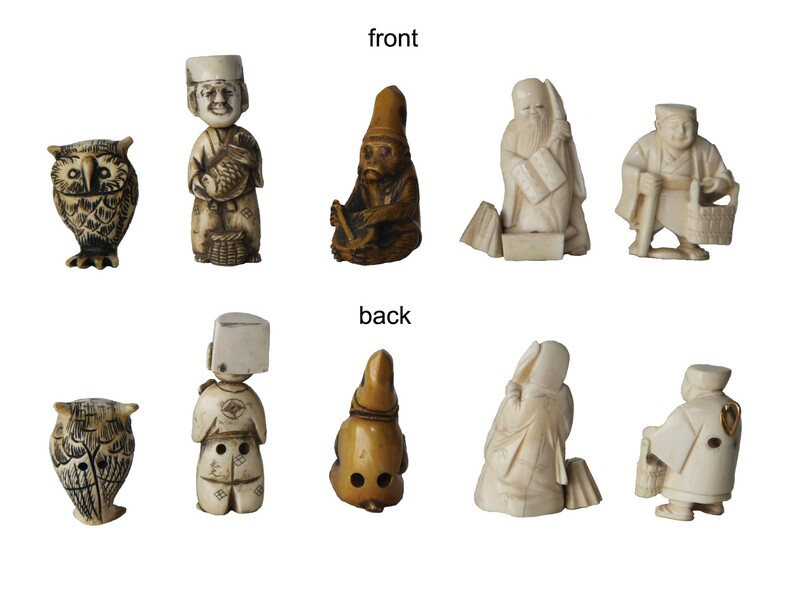 Netsuke are miniature Japanese sculptures first created in the 17th-century as part of a fastener for containers carried by Japanese men. The containers were necessary for carrying personal items–such as money, tobacco pipes, and medicine–because traditional Japanese garments had no pockets. Therefore, containers called sagemono were hung by cords from the sashes of Japanesse robes. Some of these containers were pouches or small woven baskets, but the most popular were finely crafted boxes which were held shut by sliding beads on cords. 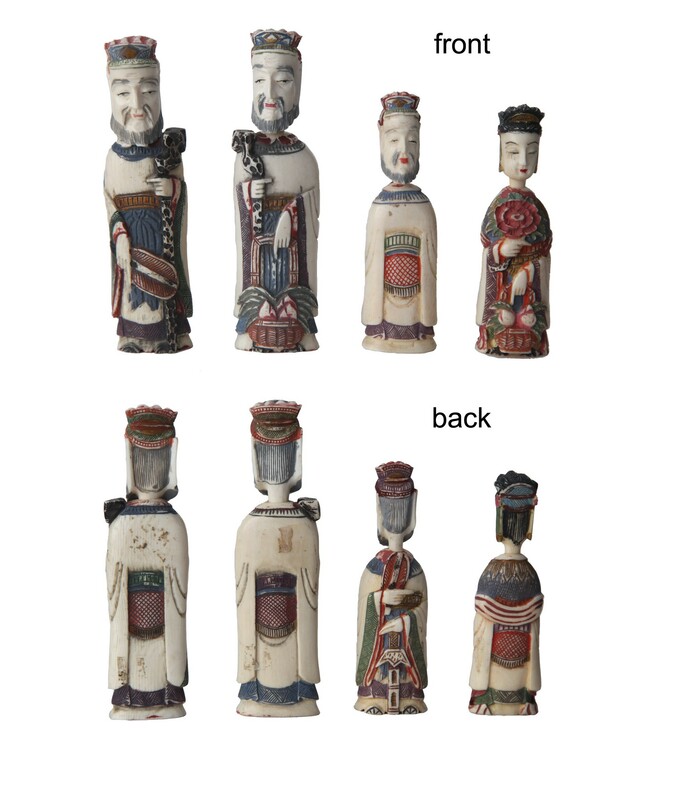 All sagemono–whether in the form of a box, basket, or pouch–the fastener that secured the cord at the top of the sash was a carved object called a netsuke (the word originated from two Japanese characters: “ne” and “tsuke,” meaning “root” and “to attach”). Netuske evolved from utilitarian objects into art objects. Netsuke production was most popular during the Edo period in Japan, around 1615-1868. 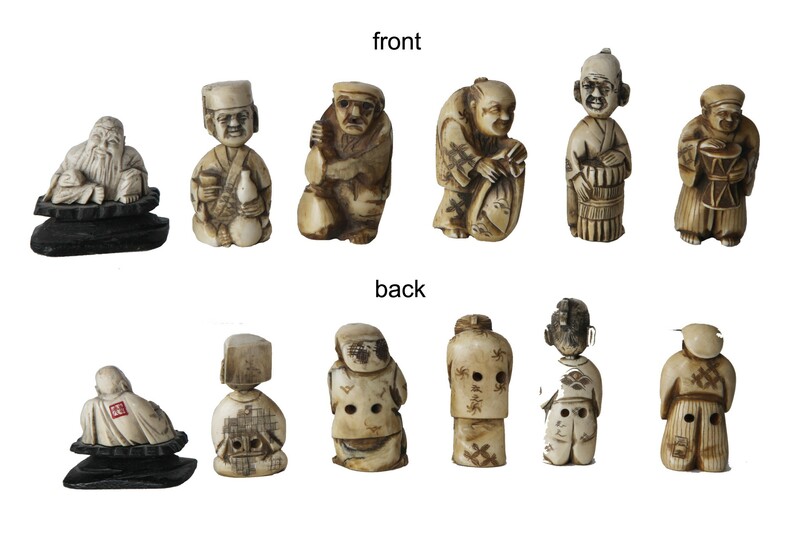 Today, the art form lives on and some modern netsuke are still produced.